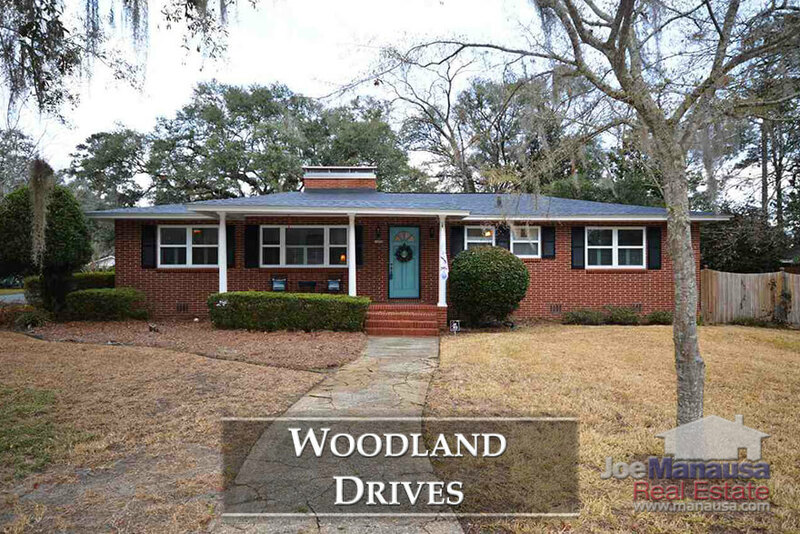 Historic Woodland Drives neighborhood is a popular downtown Tallahassee neighborhood that includes some of the oldest remaining homes in town. Featuring roughly 450 homes that were built from 1875 to just 6 years ago, buyers can take advantage of homes with large wooded lots that are within walking distance to shopping, dining, and downtown entertainment. Average home prices in Woodland Drives have settled back down in 2018, dropping roughly 11% to $211,800. As you'll find explained in greater detail below, effective ages (renovations that add to a property's useful life) are the key to understanding asking prices and market values in Woodland Drives. Home sales activity remains strong in Woodland Drives, and buyers can find great value in these large, older homes. Currently, there are five homes for sale in Woodland Drives and three are already under contract. Average home values in Woodland Drives have dropped dramatically thus far in 2018. This is not a surprise move, we forecast this very trend in our last report on Woodland Drives. The large, dated-home sale has brought average home values back down, but expect to see wild fluctuations in values based upon the "effective" age of the homes selling. Currently, the average value of a home sold in Woodland Drives in 2018 has been $92 per square foot. The average home size sold in Woodland Drives typically falls in a range of 1,600 to 2,200 square feet, but 2018 has started off with larger homes selling (specifically one home was more than 3,500 square feet). 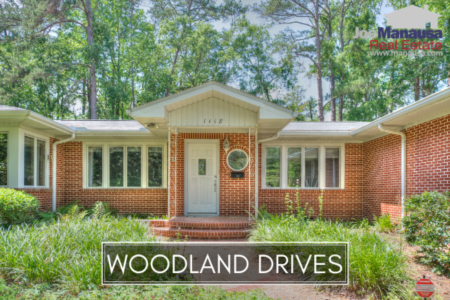 The five homes sold in Woodland Drives in 2018 have averaged 2,380 square feet. 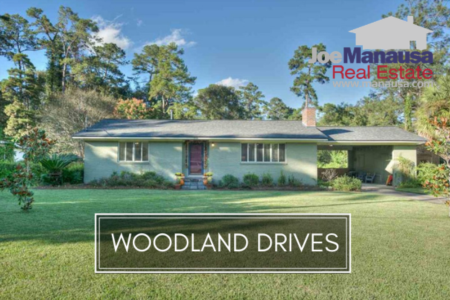 This concludes our April 2018 update on home sales in Woodland Drives, please give us a call at (850) 366-8917 or drop us a note if you have questions about this popular neighborhood in downtown Tallahassee. 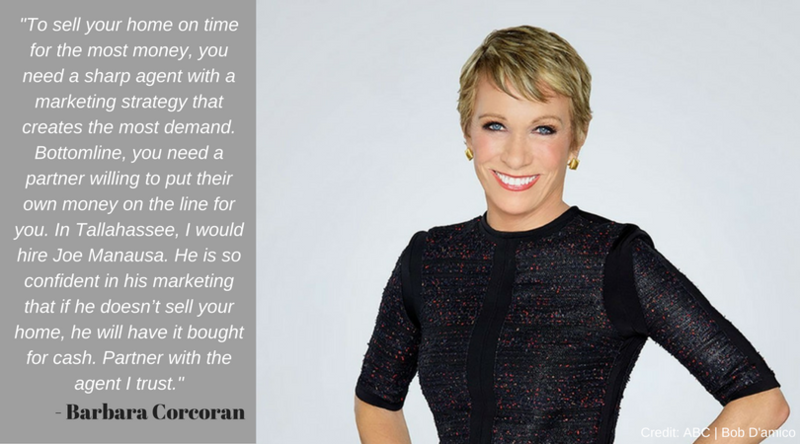 Take a look at what people are saying about working with Joe Manausa Real Estate, you can see hundreds of real customer reviews reported on Google, Facebook and Zillow right here: http://www.manausa.com/testimonials.